Then, she paused in mid-sentence as the first few rows of frequent fliers came to the realization that what she had meant to say was the traditional “welcome to Houston’s George Bush Intercontinental Airlines” announcement, which she had no doubt delivers at least three or four times a week. Instead, unthinkably, she started to do the typical take-off announcement, which she routinely gives three or four times each day. “If she’s not going to think about what she’s saying, I sure won’t, “ I thought. The same is true on radio. Computers now make it so easy to walk away from the control room and have the station run itself for quarter hours at a time. Meanwhile, request lines ring unanswered, listeners text, email, social network, hoping to interact with you, the brand they hear on the radio. Radio, of course, was the first interactive medium from the very first days of top 40 radio a half century ago, when Gordon McClendon famously put that juke box in front of KLIF Dallas, and listeners drove by the station wanting to choose the music and become more engaged. So, previous generations of air personalities have created some expectations out there in radioland. If you’re on the air, it’s your choice. Take the easy way, do jingle, liner and sweeper auto pilot radio. Sound like you’re a machine. Commit to answering every phone line as quickly as possible. Record every phone interaction, edit the best stories and integrate them into your content. Text listeners. 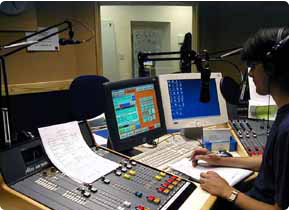 Interact with the audience on Twitter, Facebook, MySpace, your chat room, your blog and use the best of that on the air too. Yes, it’s a lot to do. But, this I guarantee: you’ll never get bored doing it that way. About the author – Jaye Albright is 45-year broadcaster with experience in all areas of programming, research, sales and management. She is a partner with her long time business associate Michael O’Malley in the world’s largest country consultancy, Albright and O’Malley. One of radio’s most honored consultants, she has been named in 2008 to the Country Radio Hall of Fame, has been Billboard/Airplay Monitors’ Country Radio Consultant/Group PD of the Year, and was honored in 2003 by Radio Ink Magazine as one of the Most Influential Women in Radio. Well said… aggree that radio is designed for listener interaction, not sounding like a machine and going on “Auto Pilot”. If people want to listen to automated content they would put a CD on.